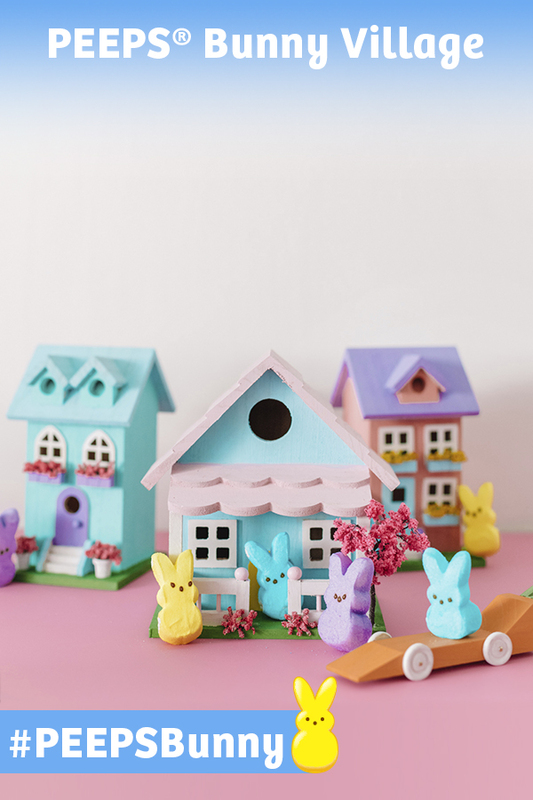 Paint a few of the birdhouses to match them with the PEEPS Bunnies and add the fun flower boxes! Turn the race car into a carrot by painting the base of the car orange and painting the other parts of the car green as the leaves and gluing them in place! Add other Bunnies to the display as the cutest residents of the neighborhood!